3. Power storage batteries can provide power to make sure the DC system works well without interruption. It has six LED indicators, four green light for power indicator indicates the current battery SOC, 1 red light fault indicators for alarms, fault indication protection, and a green light to indicate battery operation group standby charge, discharge status. When the voltage drops below the minimum section dormant monomer voltage, continuous no discharge, no communication, the system goes to sleep, to minimize power consumption. You can set the sleep voltage point through the PC. RS485 interface via parallel communication. It has a DIP switch setting address for parallel communication. 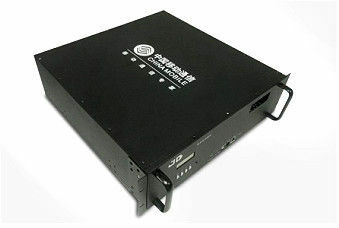 After parallel data by a parallel version can cycle PC monitor battery pack.